Becoming Cellular was the initial outcome of the interdisciplinary research project I have been working on for the past two years. 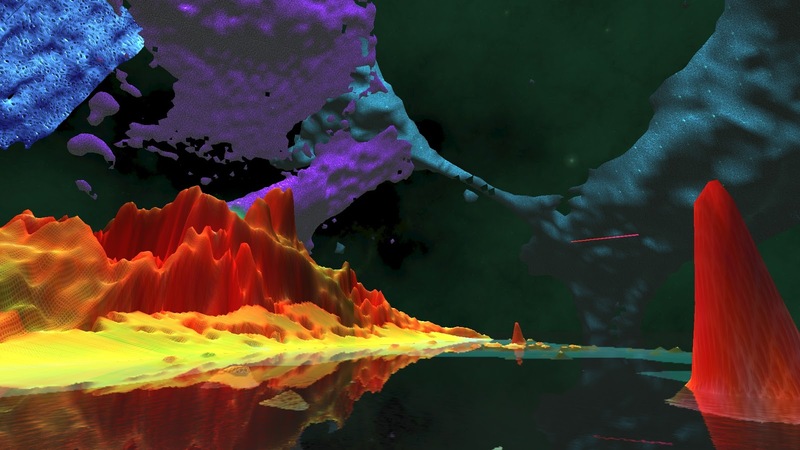 The premise of the project was to use microscopic data of dying cancer cells in order to model and develop cellular landscapes which were virtually immersive and which the viewer could interact with in real time. 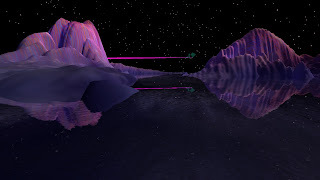 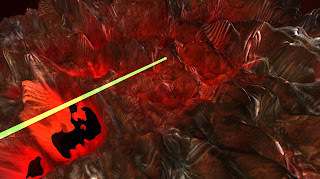 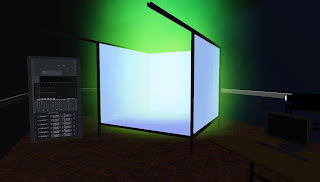 The resulting virtual immersive experience was made up of different "levels" which you could travel between. 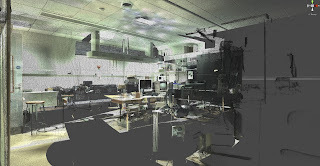 The virtual world begins at the VLab in IADT, Dun Laoghaire, which I have mentioned previously in my blog. We modelled this space using 3DS Max. 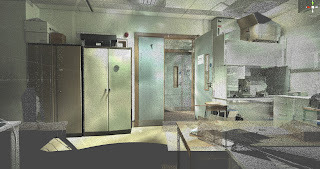 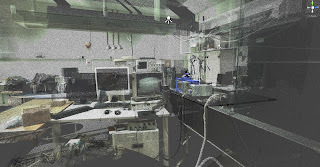 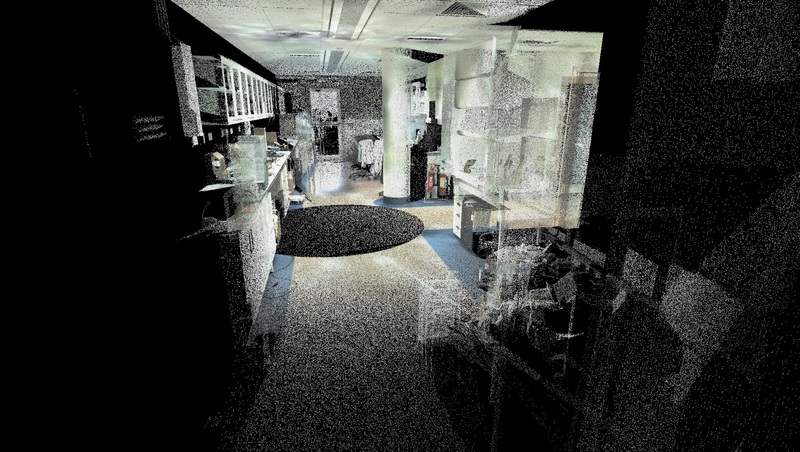 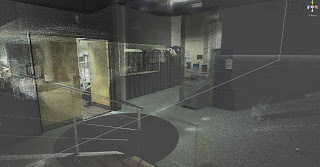 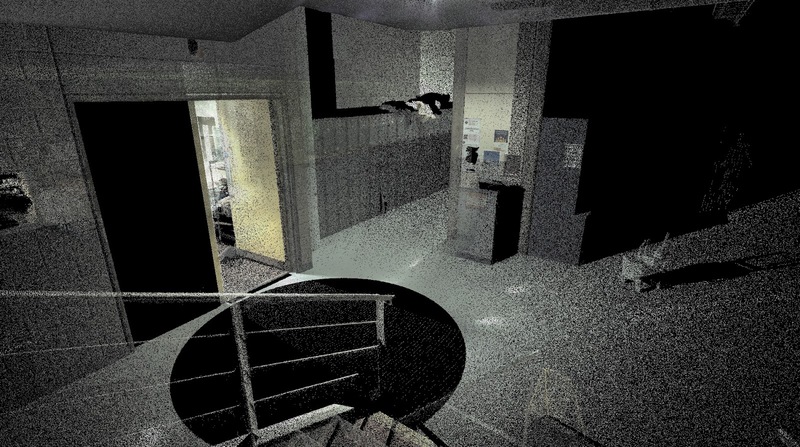 The viewer enters into a green portal which transports them to the next level - the point cloud model of the optics laboratory. 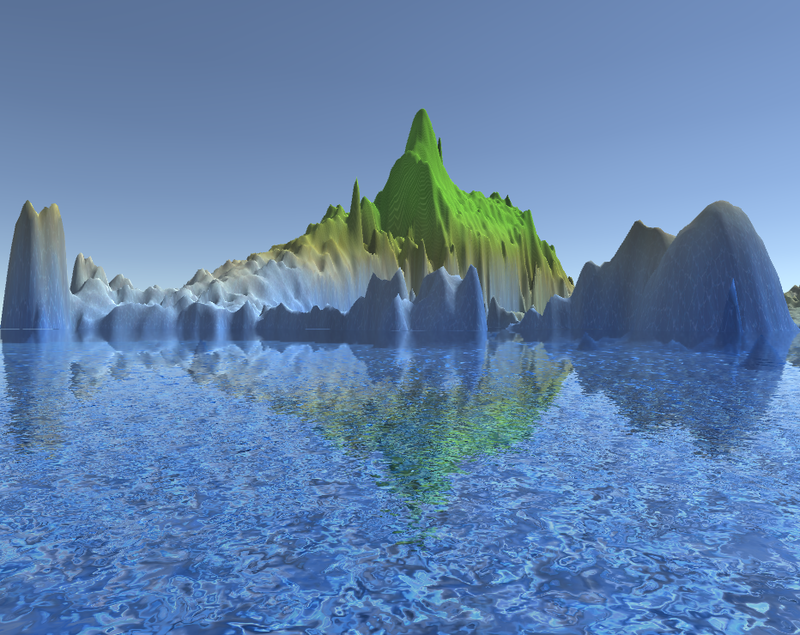 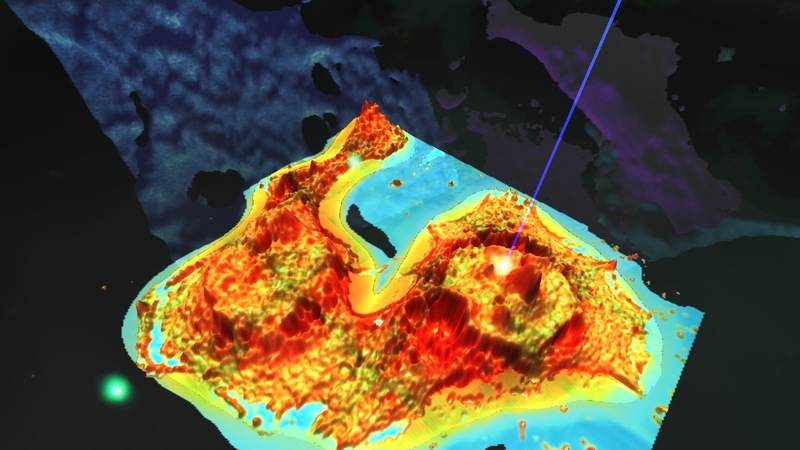 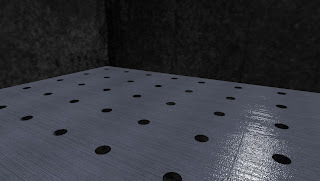 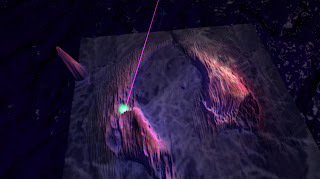 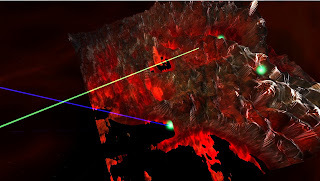 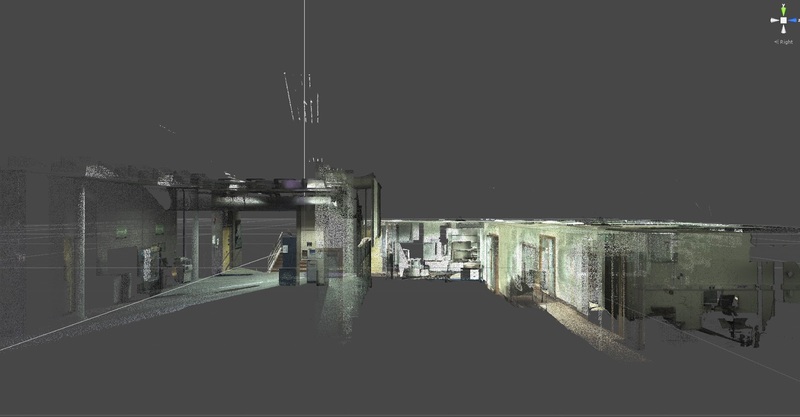 Further images of the point cloud model can be seen here. We developed this model by collaborating with a senior technician at the Earth Institute at UCD. 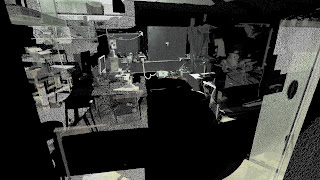 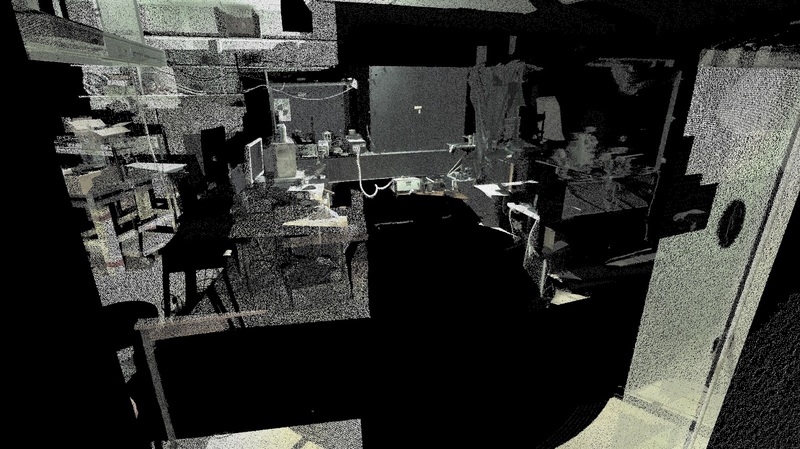 We used a Leica P20 terrestrial laser scanner to scan the hallway outside the lab as well as the optics lab itself. 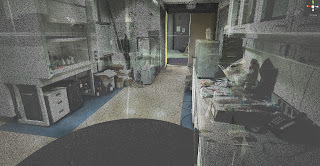 As the viewer enters into the optics lab they are then transported onto the optics table; as if they have shrunk in size. 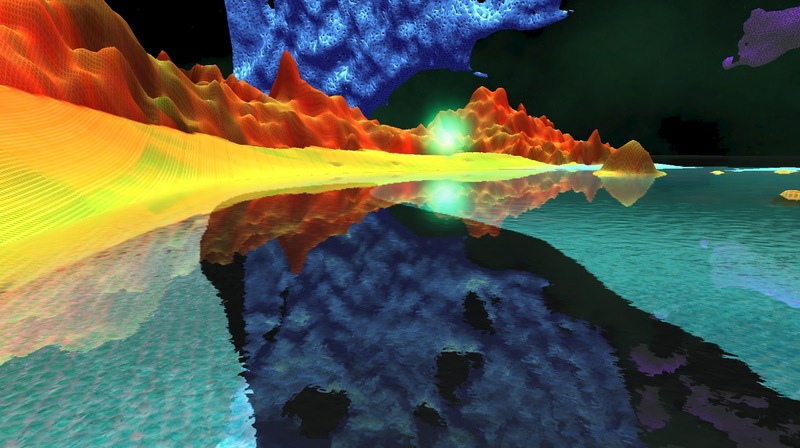 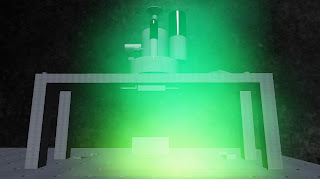 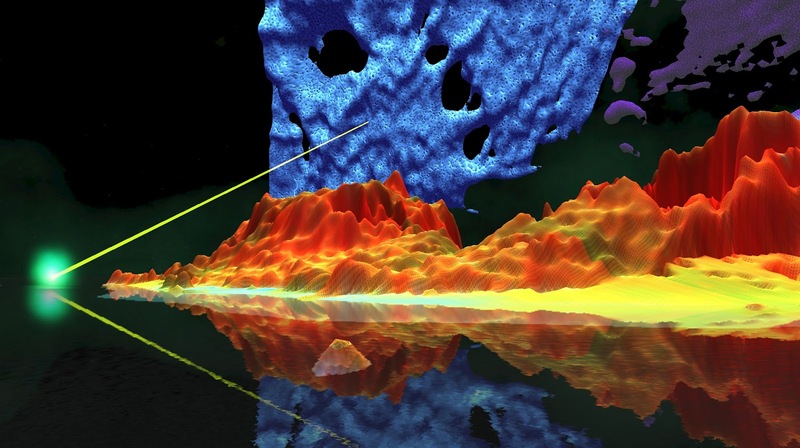 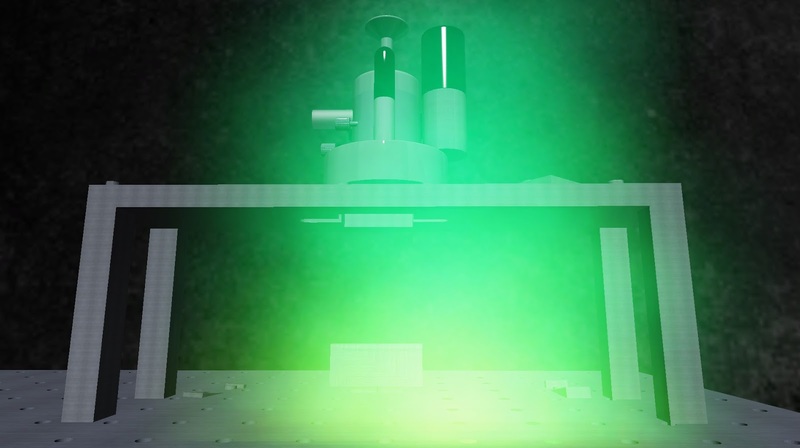 In front of the viewer is a model of the atomic force microscope with a green glowing portal in front of it. 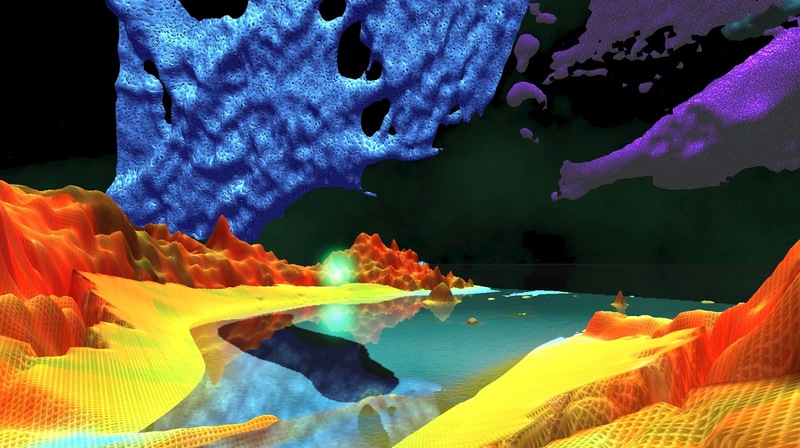 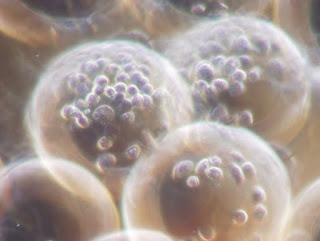 As the viewer enters the portal they are then transported to the first cellular landscape. 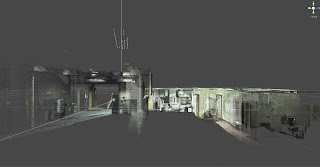 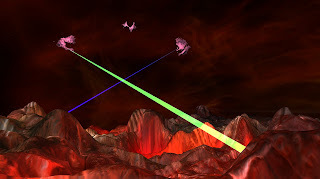 They can navigate through this landscape using a floating jet pack character controller which we developed for this project. 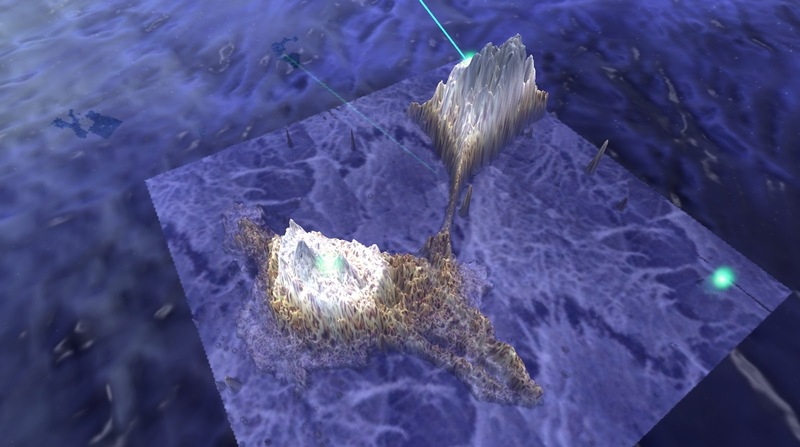 Each cell has portals which lead to other cellular terrains. 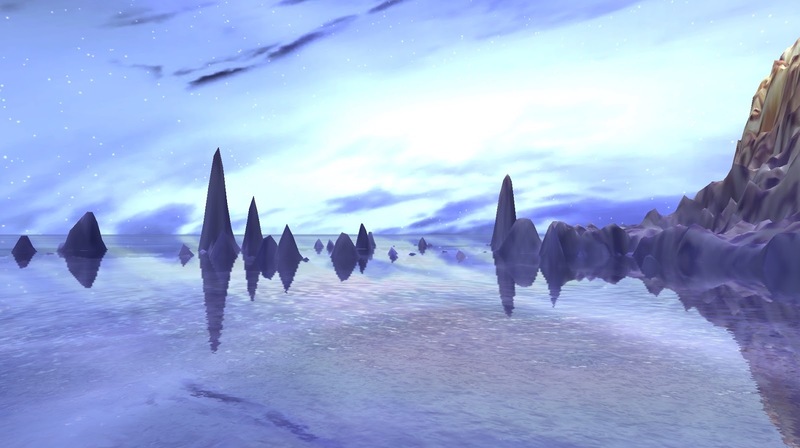 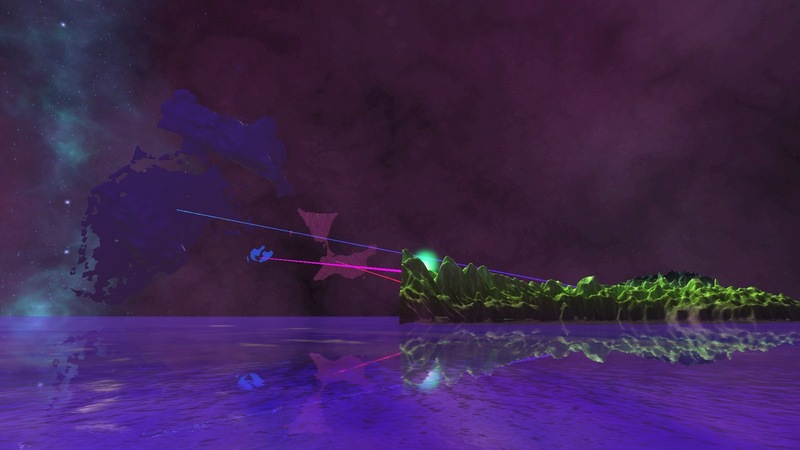 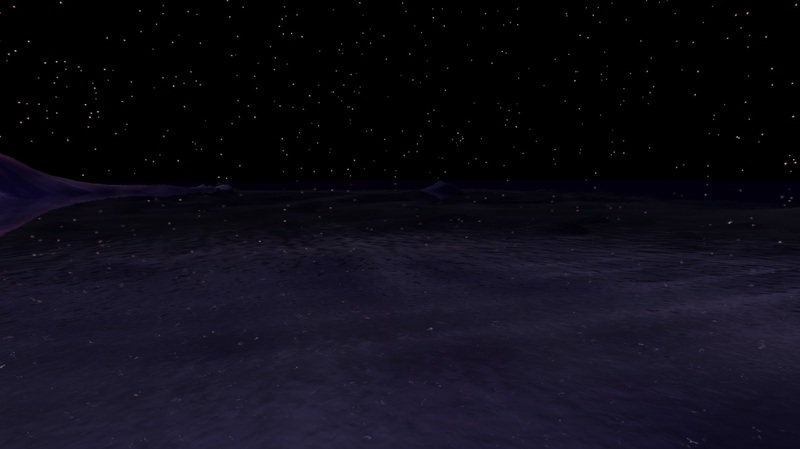 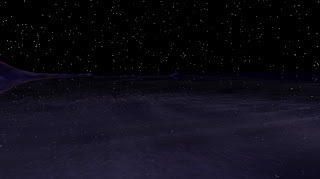 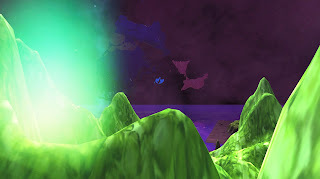 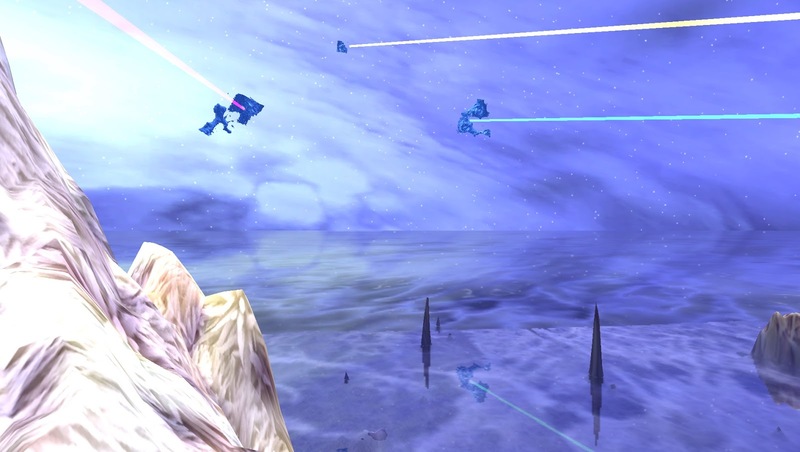 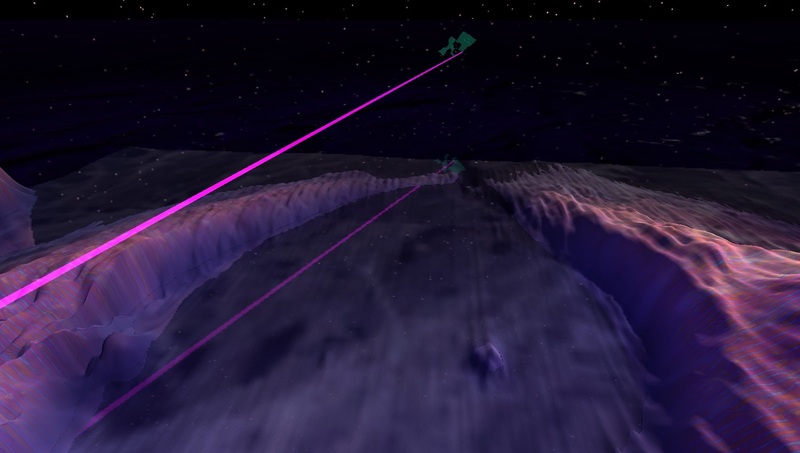 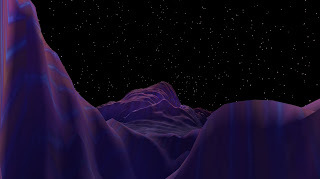 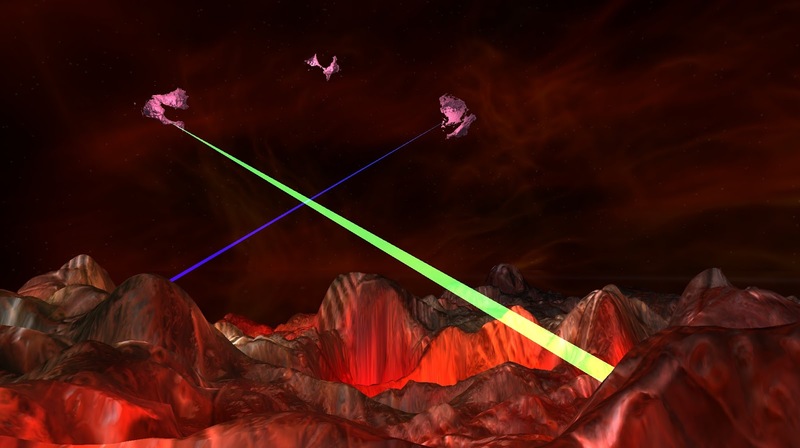 As the viewer looks up into the sky they will see other hanging cellular terrains in the distance. 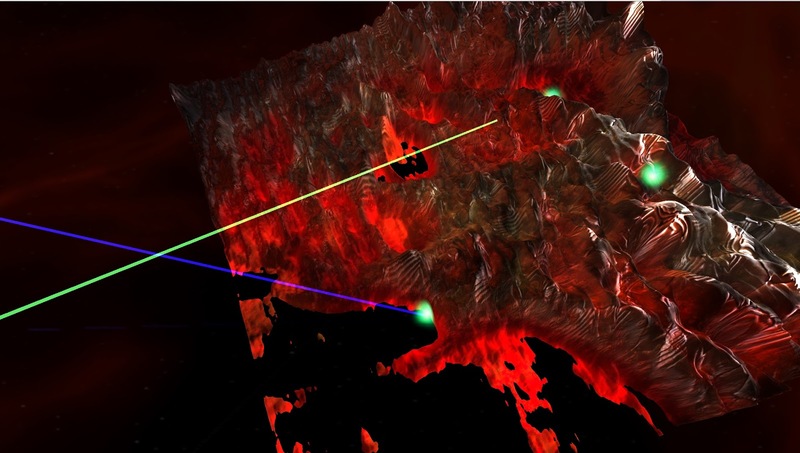 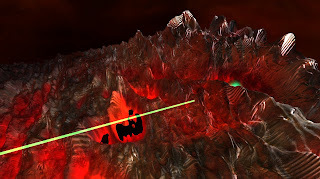 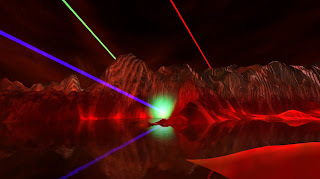 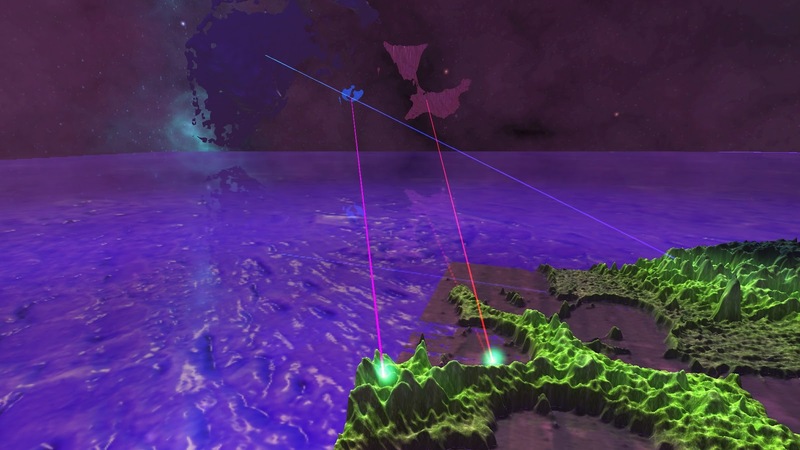 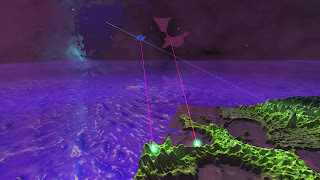 The portals hidden around the landscape shoot out lasers which point to the cell in the sky which you will be transported to should you choose to enter the portal. 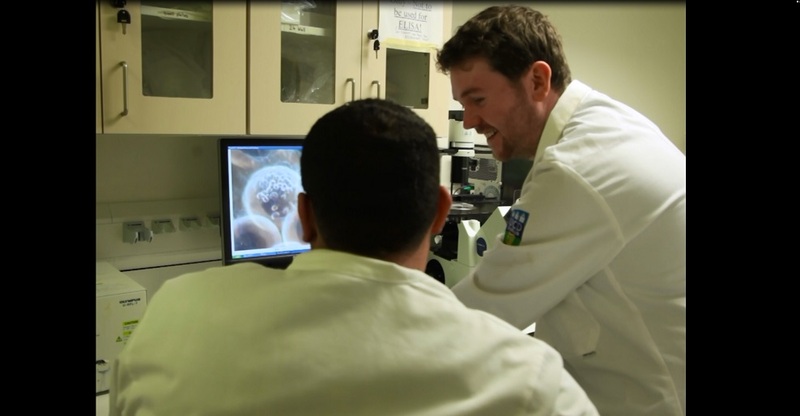 Each cell also has a particular soundtrack which was composed by the bio nano imaging researcher involved in the project - Dr. Eamonn Kennedy. 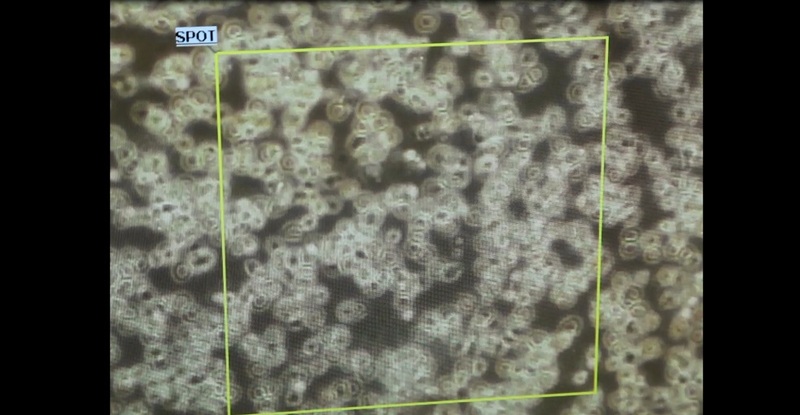 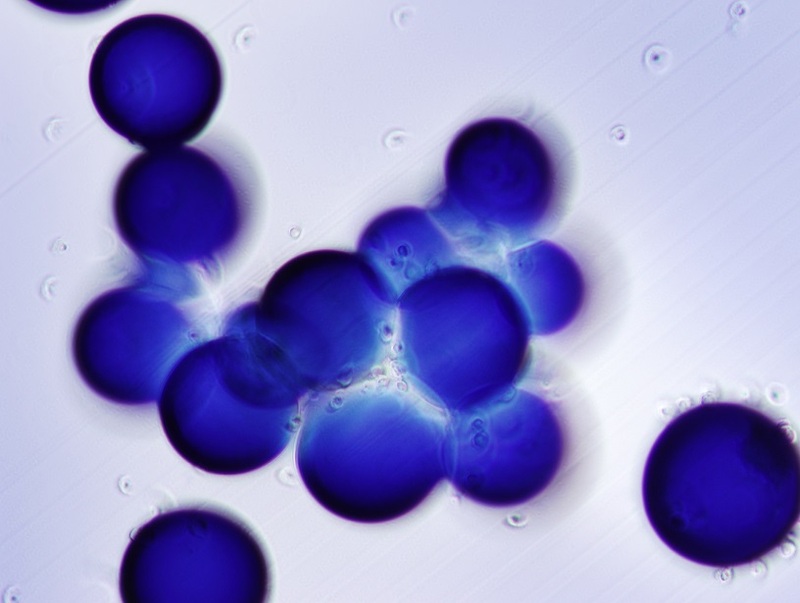 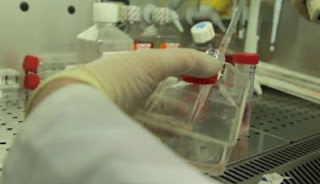 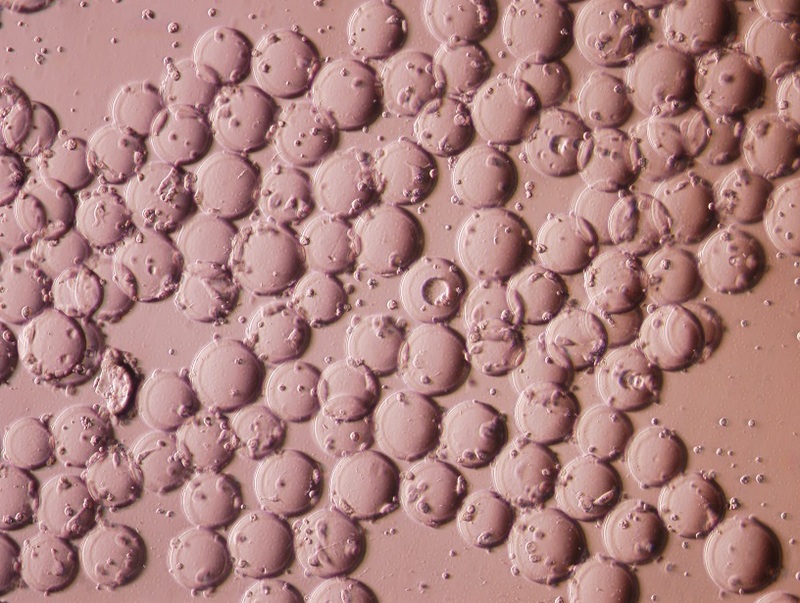 In order to gather data of the actual topography of a dying cancer cell we had to culture and grow the cancer cells from immortal cell lines. We did the molecular biology lab in UCD. 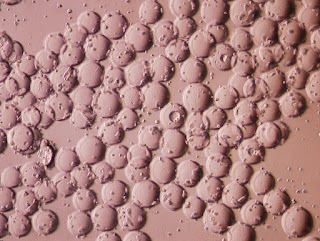 The following images document the process of growing the cells and viewing them through various different kinds of microscopy imaging techniques. 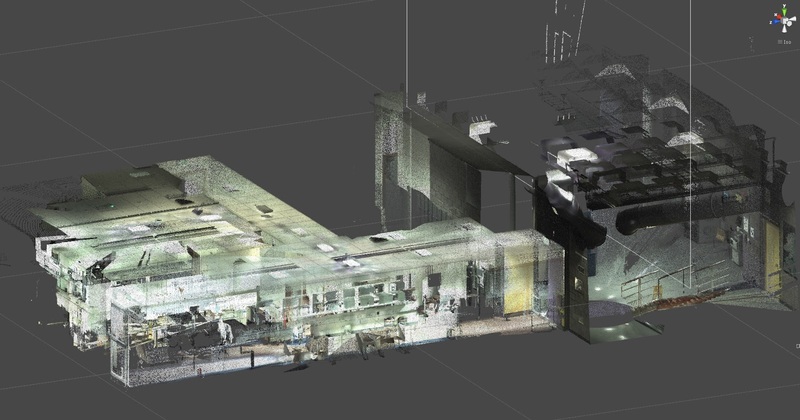 The following images are of the point cloud model we developed of the optics laboratory in UCD after scanning the space using the Leica P20 terrestrial laser scanner.